SteelX Group’s industry-leading steel building brands. authorised agent for a SteelX brand. with our pre-engineered steel building kits. SteelX is an Australian owned and operated business engaged in the design, marketing and selling of quality pre-engineered steel buildings. From its inception on Queensland’s Gold Coast in 2000, the company’s rapid growth has seen it expand across markets in Australia and New Zealand. Today, SteelX uses its expertise in marketing, systems and business consulting to deliver cutting edge service, solutions and technologies to channels and brands servicing the steel building industry. SteelX is proud to be a family owned business. We are members of and strongly support Family Business Australia, the peak body committed to growing the family business community. SteelX works with top suppliers and partners to design and supply rural steel building solutions. From farm sheds, workshops and barns to horse stables and arenas, all of our products are made from genuine Australian BlueScope Steel and engineered for strength and durability. Turn your vision into reality with an affordable Class 1 housing design, pre-engineered to meet Australia’s strict building codes and standards. Our world-class steel framed homes are supplied in kit form and are easy to assemble, making them a cost-effective solution for the owner builder. Advanced engineering and outstanding strength is all part of the package with our pre-engineered industrial steel building kits. These buildings can be tailored to suit businesses across the manufacturing, warehousing, cold storage and retail industries. SteelX employs its cutting edge service, solutions and technologies through a vast network of franchises, agents and referral agents across Australia and New Zealand. The network builds upon SteelX’s long-standing partnerships with industry-leading suppliers and manufacturers to deliver consumers a comprehensive and tailored steel building solution. SteelX’s brands and businesses benefit from the company’s industry-leading engineering and customer management software as well as comprehensive business development and support services. SteelX assists its franchisees and agents, providing advice and systems to enhance processes, identify and develop markets. A dedicated marketing team provides brand management and support services, overseeing national initiatives and local area activities. SteelX provides ongoing support from Head Office, including customer relationship management services, technical support, and IT support. SteelX offers extensive product, sales and design training so outlets have the skills and knowledge to grow their business and maximise sales. SteelX’s brands are driven by an industry-leading proprietary software platform, the Shed Management System. The comprehensive software solution features end-to-end customer relationship management services. It also has the capacity to efficiently design and engineer ShedSafe-accredited steel buildings in accordance with a range of site specific design criteria. SteelX’s software systems can create customised designs that suit individual customer needs and site requirements. The design system can cater for class 1 housing designs, class 10 rural buildings and class 5-9 industrial/commercial structures. SteelX and its brands offer an extensive range of pre-engineered steel buildings that have proudly been recognised as ShedSafe, the industry benchmark for Australian manufactured steel sheds. We are proud to be the only company to have two representatives on the ShedSafe committee. SteelX works with local Australian suppliers to manufacture and consolidate our steel kit buildings. In fact, we partner with over 20 manufacturing facilities across the country. 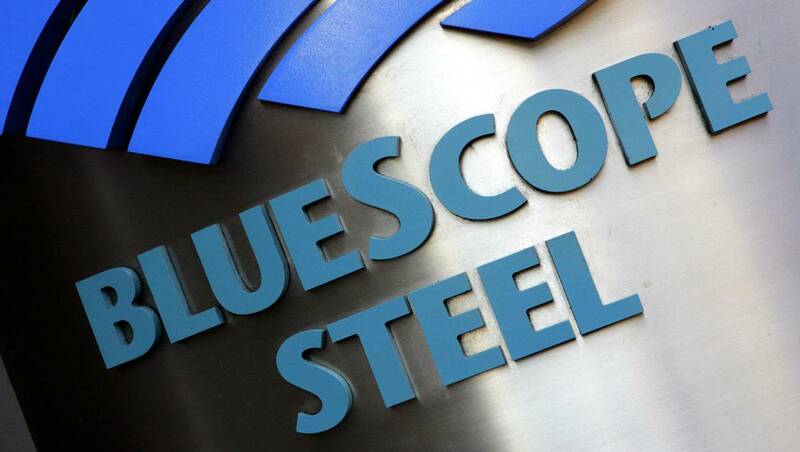 When you buy from a SteelX brand, you are getting a locally produced product, manufactured using genuine Australian BlueScope Steel. To become the supplier of choice for steel building customers based on our products, service, customer experience and ability to innovate. Become respected leaders in growing sales networks, by partnering with people with shared values and a commitment to excellence. SteelX is committed to our core values: Respect, Excellence, Accountability, Leadership, Integrity, Commitment, Innovation and Communication. Please fill in the form below and we will be in contact with you as soon as possible.